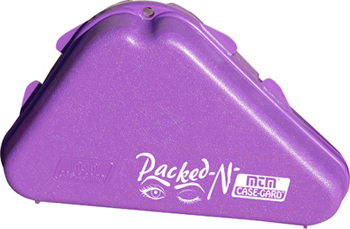 Small profile offers protective handgun storage in tight places such as glove boxes, luggage, night stands … etc. Handguns are held secure between two pieces of protective foam padding. Padlock tabbed to deter undesired opening. 802C- Shape like a traditional gun rug. 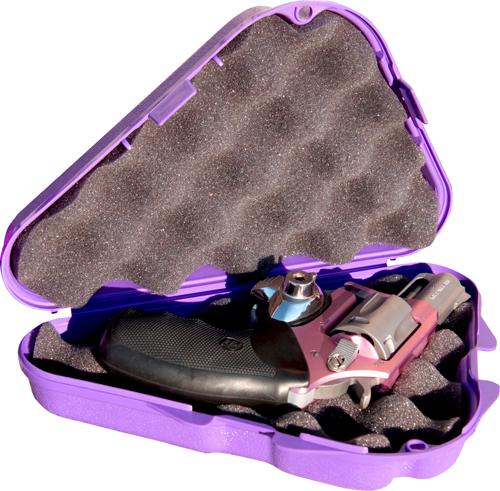 For subcompacts, most compact semi-auto’s and revolvers with barrel lengths of 2” or less.